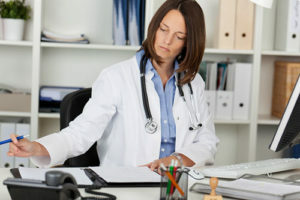 Would you prefer that you and your staff focus on paperwork or patients? 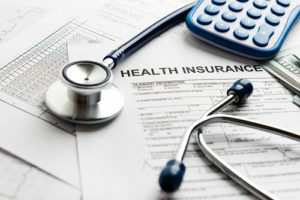 Each Insurance Carrier you apply for typically requires dozens of pages of paperwork, and lengthy online applications. We act as an extension of your practice to complete all the paperwork and diligently follow up to get you credentialed with as many payers as possible. We all know that patients’ rarely if ever will pay out of network, so it is critical to accept as many insurance plans as possible. Of course you would prefer to have yourself and your office staff focus on the patients medical needs. That is where our experience in medical credentialing can help you not only maintain your current patients’ insurance participation but expand your practice as well. Our expertise in the area of credentialing will increase your chances of approval and save you the time and headaches involved with the application and follow-up process. We can help enroll you in the insurance carriers best suited for your practice’s needs. How important is it for your practice to be ‘in network’? As your front office can probably attest most potential new patients will first ask if you are participating with their insurance. If you are not in their network then odds are they will not make an appointment with your office. Also, since the health plans cover more pre-existing conditions, expanded mental health services, etc being an approved provider is more beneficial to the bottom line of your practice. Completion of credentialing applications for insurance carriers and hospitals. We will also do all necessary follow up with insurance carriers and track the application through to the approval stage. We distribute all renewed documents including DEA, CDS, Malpractice Insurance Face Sheets, Medical Licenses, updated CME’s etc., to insurance carriers and the hospitals. We track and provide advanced notification of expiring licenses, DEA, CDS, etc. We function as the liaison between the practice and the insurance carriers and hospitals with all matters relating to the credentialing/re-credentialing process.